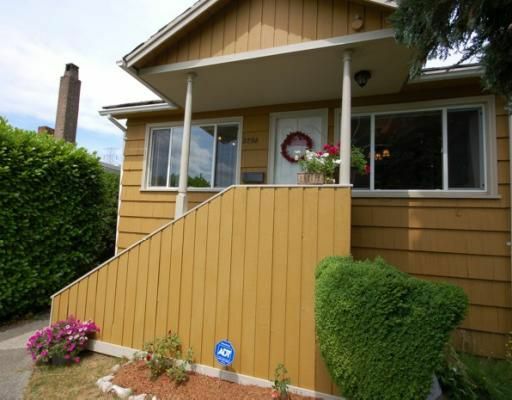 Cute Character style home in desirable North Burnaby! Conveniently located, just 20 minutes to DT, Great S. views from the LR, an entertainment sized kit complete with newer appliances. Large DR, perfect for entertaining. Mbdrms featuresFrench slider doors leading out to your fully fenced private park like backyard and secluded patio space. Upgrades incl new ebony walnut lam floors, designer paint, DG windows thru-out new electrical panel & wiring. *Bonus - fully finished 2 bedroom suite down with separate entrance to help with your mortgage payments. Desirable location, just 2 blocks to the "Heights" offering great shops and dining choices.